Book Reviews "How to Exercise a Thoroughbred Race Horse"
The author not only delivers on the promise of an education, but also provides inspiration to both the novice and the pro. I can see this book in front of young boys and girls who have never ridden a horse, but have dreamt of riding, and because of her words will be inspired to ride. Janice has captured within the pages of this book not only the art of exercising a Thoroughbred but in every sentence, a genuine respect for the Thoroughbred. Janice L. Blake is an experienced and knowledgeable jockey and exercise rider who has produced a book that will expand the reader’s knowledge and appreciation of the sport of Thoroughbred horse racing. Whether one aspires to have a career at the race track or just wishes to gain some behind the scenes insight, Janice’s book delivers in eloquent style. Well-crafted, entertaining, and organized to aid the reader in understanding the intricacies of piloting and training a Thoroughbred, the book is an excellent read for anyone interested in Thoroughbred horse racing. Kudos to the author for a well-written and very interesting book! In “How to Exercise a Thoroughbred Race Horse,” veteran jockey Janice L. Blake characteristically blazes a path for aspiring exercise riders to follow as they start their careers at the track. This book is a real “how to” guide that puts into print some valuable information that, until now, has traditionally been passed along through word-of-mouth. I especially enjoyed Ms. Blake’s funny yet practical comments on how to handle interpersonal situations at the track. This book is a must read before anyone gallops their first Thoroughbred. Armed with Ms. Blake’s tips, the rider AND his or her horse will be safer and will have a more pleasurable experience negotiating life in the fast lane. In her book, Ms. Blake shares her love and appreciation of horses. Her well-planned guidance is presented for every novice to negotiate the bumps she likely experienced, which will benefit every person on the track. Her first-hand knowledge is delivered with a desire for everyone to succeed. If you’re interested in learning about exercising Thoroughbreds from a passionate horseman, you won’t be disappointed. The quotes sprinkled through the book remind us, the reader/rider, of the poetry of riding while learning the mechanics. A must read for anyone who loves horse racing and is eager to learn the preparations associated with it. This book categorizes Ms. Blake as a true ambassador for Thoroughbred horse racing. 5. I hope there is more to come! I’ve read the book several times, and I’m simply amazed how well it was put together. It makes me feel like I could jump on a Thoroughbred race horse and exercise it myself, but I know better. I didn’t realize there was so much involved in simply exercising a Thoroughbred race horse. Janice has done an excellent job with this book! It was interesting, explanatory, and easy to read. You can tell Janice is writing on her own experiences. I like the way she was direct and straight to the point, occasionally using a sense of humor to get the point through! I believe any exercise rider could read this book and apply the knowledge to getting their job done professionally. I commend you Janice, and hope there is more to come! Janice L. Blake knows horses. She knows what makes them want to run and how to treat them. Her little asides make this instructional book race forward like a Derby winner. This book will please not only those who want to learn more about training and exercising horses but also anyone seeking a deeper understanding of the connection between rider and horse, human and beast. 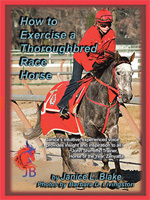 Janice L. Blake paints a very clear picture of how to exercise a race horse. She gives very strong advice and covers the pitfalls that a rider can find themselves in and gives them solutions so the rider never gets there in the first place. I have been a trainer for over thirty years and have worked with Janice from time to time over the years. She loves the horses and is always been a true professional around the barn. I highly recommend “How To Exercise a Thoroughbred Race Horse” to people looking to get into the business from any angle. From the owners to the hotwalkers, they will all learn from reading this book! I had a chance to read Janice Blake’s new work “How To Exercise a Thoroughbred Horse” and was very impressed. It is well organized, informative and concise. Among the pages she has sprinkled some of the favorite quotes that have inspired horsemen and women for decades. The well placed photos are by the great Barbara Livingston and naturally, are excellent. They are complimented by a bright red color that keeps the pages frisky and alive. The practical knowledge offers good, sound and safe advice, all of which should be practiced while around Thoroughbreds. 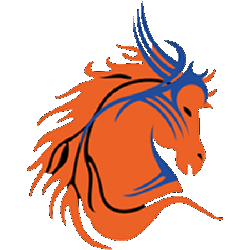 This is a great resource for anyone wishing to learn more about the world of Thoroughbred horses. Congratulations to Janice L. Blake, you have done an excellent job with your presentation. I have nothing but praises for you. In How to Exercise a Thoroughbred Race Horse, Ms. Blake goes into explicit detail about how to ready a racing horse for its morning exercise on the race track. It is a step-by-step manual written in prose. Janice goes into just enough detail without being repetitive or overbearing. This is a delightful volume of getting along with the race horse and how to make the entire experience enjoyable. She is a natural teacher and one can feel her love for the horse in between the pages. I can see this book being used as an educational tool in equine racing studies throughout the world in many different languages. This is a terrific book. It is very easy and fun to read and follow. The quotes are in well-placed areas throughout the text which makes the reading more meaningful and deepens one’s understanding and feeling for the horse itself. I love the visual motif of Janice’s red jacket and helmet cover throughout the photos of the book. 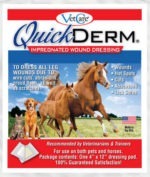 These go along fittingly with the horse’s red blanket and bridle, the color of the Lostritto stable. Barbara D. Livingston’s photos are clear and well-composed as is indicative of her style. Bravo to all involved! A masterpiece of equine racing lore. Very practical advice written in an edgy, straight-forward fashion by an obvious veteran rider. A GREAT JOB!!! This book is a well-needed addition to Thoroughbred literature. I recommend it to anyone who wants to be involved in the racing industry. It is destined to become the exercise rider’s bible! Well-illustrated with the photos by racing industry’s renown equine photographer, Barbara D. Livingston. The photos in this book are like getting a collection of high-priced art. I bought the Kindle version. Can’t wait to add the print version to my equine book collection. Janice L. Blake is a veteran exercise rider who knows her business. In this book, she shares her knowledge and takes the reader through the steps that are necessary to go from a fledgling rider to an ace. For anyone who wants to join this field (and maybe even become a jockey?) this book will prove very valuable. I’ve been watching Thoroughbred horse racing for many years, but I was only a casual fan until several months ago. Now I’m at a point where I want to learn about all things equine. While watching horseracing on TV, I heard about a female jockey name Janice Blake and, even though I didn’t know her, I sent a friend request on a social networking site. I did this thinking that, if she accepted the friend request, I’d get little tid-bits of information regarding horses and horseracing. You never know, right? Well, Janice did accept the request, and I found that I really hit the jackpot with her! She has a treasure chest full of information that she’s actually willing to share with others. Overall, this is a great, informative book that I can’t wait to read again. Janice Blake’s lessons taught in this book are good for all to learn. This book is now my Thoroughbred bible. I’d advise anyone who wishes to learn about this subject, brush up on their training, or being a pro and wanting to read about other pro’s expertise, to pick up a copy of this book. Superior! 14. Such an interesting read! I downloaded the sample of this book to my kindle and immediately purchased it thereafter. This is such an interesting look into the mind and practice of a horse trainer/ whisperer. I just love the voice of the author and especially enjoy how this training mirrors our own listening to, honoring, and being patient and persistent in everyday life. This is not a guide intended to teach you how to ride, but it is a good introduction for a rider who already has some experience and is interested in getting involved in racing. Racing fans who are looking to learn more about the daily training routine “behind the scenes” would also enjoy this book. Extremely useful information about how to exercise a Thoroughbred race horse. Ms. Blake establishes herself as an authority with her vast knowledge base concerning the handling of specific challenges and situations.